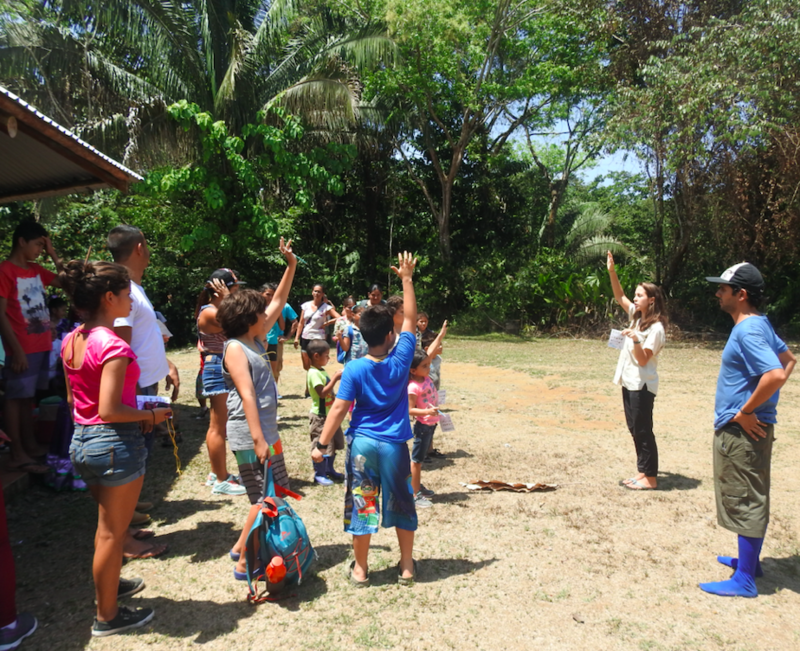 Having just arrived at the start of the week, I was really excited to hear that Osa Conservation was hosting a “Picnic in the River” in celebration of Costa Rican rivers and their importance to people and wildlife. I thought it would be a great way to understand the context of rivers in the Osa and community and throw myself headfirst into learning some Spanish. 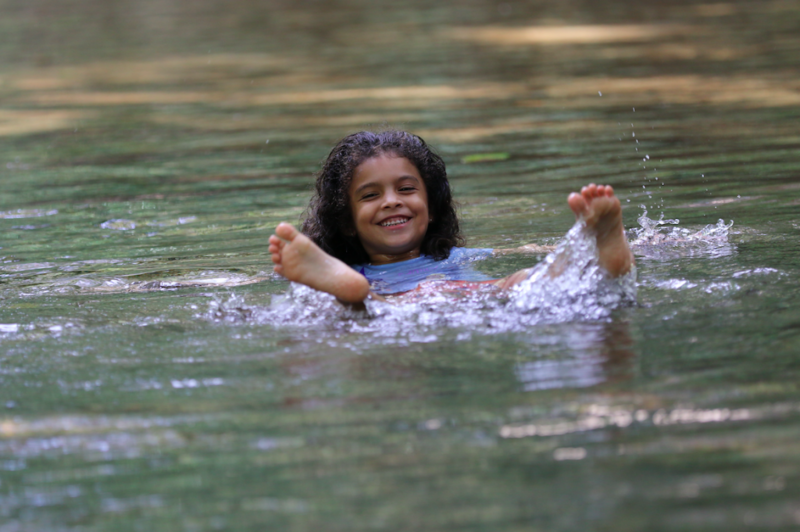 “Picnic in the River” is an annual festival in which communities across Costa Rica celebrate rivers as part of the International Day of Action for Rivers. 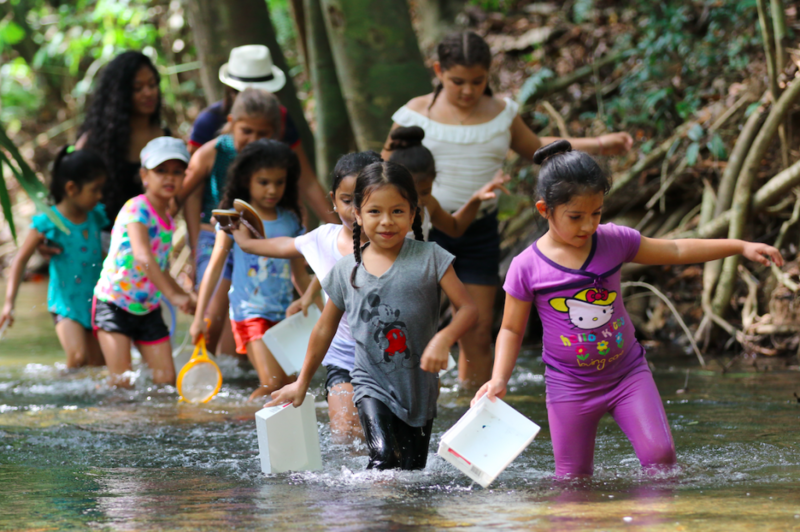 This year, we hosted the largest ever Osa Peninsula “Picnic en el River”, thanks to the 71 community members who come out to our Osa Verde BioStation (Piro) to celebrate rivers. The day started off with a buzz in the air and a tangible excitement among the staff in anticipation of the day. It all kicked off when three buses arrived bringing children from local schools and their families to the station. After introductions, workshops were led by Hilary Brumberg (Healthy Rivers Program Coordinator), and Mariam Weyand (Sea Turtle Biologist), and Marlon Jiménez Castro (the local aqueduct administrator), to highlight the many uses people have for rivers and how rivers function as a connection between the land and the sea. Marco Hidalgo (Coordinator of Ecosystem Resilience and Community Outreach) explained how the iNaturalist application can be used to register the incredible wildlife found in the Osa. The children, who were initially shy, seemed really enthusiastic as they called out their ideas and got involved in the presentations. The children had two dances prepared for the day, and outfits to match! They came dressed as iconic forest creatures and plants and they looked fantastic. It was great to get involved with them at the end and share their enthusiasm for nature and the day in general. In the afternoon, families were split into two groups and led to either Piro River or the nearby Piro Beach, where Piro River meets the sea, to get an opportunity to experience first-hand the diversity and ecological importance of their country. The kids participated in a mini wildlife BioBlitz, each competing to find the most different types of wildlife to records on their iNaturalist “nametags.” Nature really showed off with some turtle hatchlings at the beach and lots of shrimp, fish and insect larva in the stream. There was also time for a quick dip in the stream afterwards to cool off! Overall, it felt great to be part of a “Picnic in the River” celebration on the same day as 170 groups across Costa Rica in honor of the International Day of River Action. I had a great first introduction to the community and streams in the Osa Peninsula and I am so excited to get stuck in to the projects and be a part of the work Osa Conservation are doing here. This entry was posted in Aquatic Health, Community Outreach, Environmental Education and tagged communityoutreach, environmentaleducation. Bookmark the permalink.